A common question asked by new student of electronics is what is a momentary switch? The short answer is that a momentary switch is a unit capable of turning any electronic device to either an on or off state when an end-user presses the switch. This type of switch can actually represent one of two types with the alternative being the traditional on or off switch. They can be found in all manner of electronic devices and usually take the form of a button to help initiate the state change in a device. The two types of momentary switch commonly used throughout industry are push-to-break and push-to-make types. How is a Switch Classified? 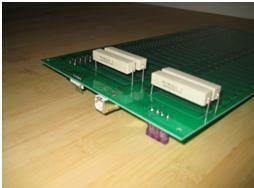 For use in electronics, switches are normally classified to how the contacts are arranged. When current can flow from one contact to another, a switch is said to be closed. When there is separation preventing current flow between the contacts, the switch is said to be open. Other terms used to label these positions include “make” for contact closure and “break” for the opening of contacts. For a switch that is designed for contacts to remain in a single state unless actuated, the contacts will be labeled as either normally closed or open until their state is changed by the operation of the switch. If a switch includes both types of contact, it is called a changeover switch. Another way that switch contact variations are described is by the number of throws or poles that are included in the switch. The number of throws refers to the total number of positions that can be adopted by the switch. For example, a double-throw switch consists for a contact capable of being connected to one of two other contacts. The total number of poles refers to the total quantity of circuits that are controlled by a switch. As an example, a two pole switch will have two sets of contacts (that are identical) which can be controlled by the same knob. How Does Wetting Current Work? A wetting current is the minimum amount of current required to send through a mechanical switch to break through oxidation film that gets deposited on the switch contacts. When a switch is used in an area of the world that experiences high heat and humidity, oxidation film can form on the switch contacts negatively impacting performance. By sending a proper amount of wetting current through the switch, the contacts will continue to operate normally vice getting “stuck” in the open position due to severe oxidation of the contacts. How Does a Momentary Switch Work? Momentary switches are designed to act in the manner of a regular switch in order to help connect two metal contacts with the goal of completing an electrical circuit. The primary way that they differ from a traditional switch; however, is that the momentary switch normally requires a button to be pressed to change the state of the switch vice the flicking action required of a traditional light or equivalent switch. When the “push-to-make” type of momentary switch is pressed, it will connect the metal contacts of the switch when pressed. When the button is released, the contacts will be released. A push-to-break momentary switch has to be pressed; however, to disconnect the connected electrical circuit and released to then reconnect it. What are the Applications of Momentary Switches? There are a variety of applications that use momentary switches in every-day life. For example, a button in an elevator is a push-to-break momentary switch that does not release the electromagnetic door until it is pressed. Another common example is the keys on a keyboard which are push-to-make momentary switches. When a key is pressed, the electrical circuit for the respective key is completed. Additional examples of momentary switches include doorbells, anti-theft alarms, and laser pointers. What are the Advantages of Momentary Switches? There are a number of advantages that make momentary switches better to use than a traditional on/off switch. One such case is when an electronic device or a system design requires activation or deactivation on user demand. The momentary switch can be used to create a temporary effect allowing for the system to recognize the end-user’s input. The switch can then be toggled while the user is still holding the switch. As an example, a laser pointer is only activated when the user presses the button the device to highlight some object or presentation with the device. When the desired effect is achieved, the user depresses the button and the device extinguishes. A common problem that arises with mechanical switches and relays is contact bounce, or chatter. Most switch and rely contacts are normally constructed with a springy metal. Once the contacts are closed or come together, the momentum from their movement combined with elasticity can make the contacts bounce apart one to many times before sustained contact is made. As a result, a pulsed electric current is created vice a quick or clean transition from no to full current flow. Although the effect causes less problems in power circuits, it can result in major issues in logic and analog circuits that can misinterpret the pulsed current as data. One of the first methods to correct for contact bounce was to use mercury-wetted contacts in a switch. This has become less common in recent years; however, due to the hazards associated with release of mercury. 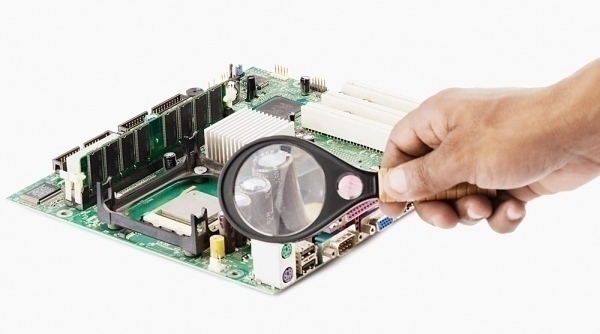 In digital circuits or systems, there are several methods used to work around the issue. First, a time delay can be implemented to allow the contact bounce to settle out before the input is accepted to control or use for anything. Another method is to take multiple samples of the contact state before using to change the state of a switch. If the amount of power that is being switched is significant, the flow of electrons across the open switch contacts can create an electric arc by ionizing the air molecules located in the gap between contacts. Since the gas plasma produced by the arc has a low resistance, it can sustain power flow across separated switch contacts. The arc can be extremely hot and can melt or erode the metal surfaces of switch contacts as well as create significant EMI (electromagnetic interference). With sufficiently high voltage, an arc will form when the switch closes and can be sustained until the switch is completely closed. For most cases, the method used to prevent switch contact damage and minimize arc formation is to use a faster moving switch mechanism to ensure that the switch contacts move quickly. If the total amount of power being switched is large, additional methods to prevent or minimize arc creation may be employed. These include using a puffer to blow high velocities of gas across the switch contacts to rapidly extend the arc length to extinguish it more quickly or to quench the arc using a series of nonconductive blades across the distance between the switch contacts. For extremely large switches, the contacts may be surrounded by a gas other than the atmosphere such as a vacuum, sulfur hexafluoride, or mineral oil. Although momentary switches are very useful for a number of applications, they are just one of a large number of switch types used in industry. Some of the common alternatives include rotary, toggle, special, mercury, knife, and foot switch types. All of the switch types operate on similar principles with each having its own advantages and disadvantages to consider before employing the switch type. What is a Rotary Switch? Rotary switches differ from momentary types by the method of operation and complexity of the device. A rotary type uses a twisting motion of an operating handle that has a minimum of two positions. Each position can function as a momentary switch which requires the operator to keep the switch position. There can be multiple decks or levels to the switch that let it control one to many circuits. Through the early 1970s, rotary switches were commonly used as the primary means to select the channel on a television. Other uses for the switch type have included band selectors on multi-band radios, electrical metering equipment, switchgear, for control of measuring instruments, and for overhead crane operations. How Do Toggle Switches Work? Toggle switches are one of the most used electrical switch types in industry. They are manually actuated by a rocking mechanism or mechanical lever and are available in a large number of sizes and styles. These switches are engineered to provide near simultaneous actuation of multiple sets of contracts or to control a large amount of voltage or current. Multiple toggle switches are able to be interlocked mechanically to help prevent undesired combinations of the circuit(s). Electrical switches can be created to provide a response to almost any type of mechanical input. Some of these stimuli include: turning a key, fluid level, air pressure, tilt, vibration, linear movement, or the presence of a magnetic field. A number of switch types are designed to operate on their own based on an environmental change in condition or other detected motion. For example, sail switches are used in HVAC systems to ensure that air flow is maintained at proper levels in an air duct. Limit switches are used in machine-based equipment to help ensure the operation does not exceed safe parameters of operation. What is a Mercury Switch? Mercury switches are made up of a glass bulb that contains a drop of mercury as well as a minimum of two switch contacts. When the contacts pass through the bulb, they are connected via the mercury when the bulb is tilted to help make the connection. 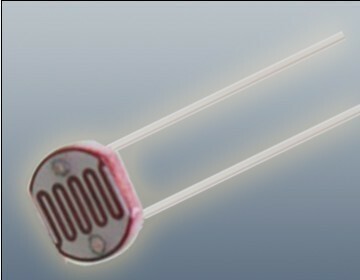 The mercury switch normally performs better than the ball-tilt switch type since the liquid-to-metal connection does not get impacted by oxidation, debris, or dirt. Since the contacts are wetted by liquid, the connection realizes a very low resistance and does not experience any bounce. 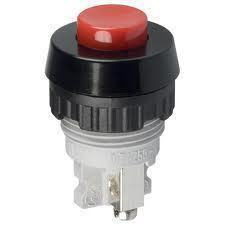 Mercury switches are commonly used for precision work or where the danger of arcing is high. How Does a Knife Switch Work? A knife switch uses a flat metal blade that has a hinge at one end. There is an insulating handle on the switch for operation of the device and includes a fixed contact. When the knife switch is closed, electrical current will flow through the pivot and blade through the fixed contact. This type of switch is not normally enclosed and both the knife portion and contacts of the switch will normally be made up of steel, copper, or brass depending on the use or application of the switch. The fixed contacts in knife switches can also have a spring backup as well as there being two or many parallel blades operated by the handle of the switch at the same time. Due to the contacts of this switch type normally being exposed, this switch type normally finds use where humans will not accidentally come into contact with the device unless the voltage being passed is extremely low. The primary disadvantage of the knife switch is the slow opening speed and the close proximity of the switch operator to live electricity. The footswitch type is operated through the use of pressure from a person’s foot. These are a rugged switch type and are typically used for control of machine operated tool. They allow the operator to keep both hands free for manipulation of the primary machine or device. Another example of a footswitch is the use for control of an electric guitar. I have a water recirc pump and retractable awning and need to get relays. I don’t know if I should set as latching or momentary on. When a device has power available and is powered on what happens when it is unplugged (or power source is lost from outage) ?… does a momentary switch automatically switch to being off, requiring manual intervention to turn back on once power is restored?… or should the device remain in the ON status when power is restored? A true momentary switch only opens or closes a connection while the switch is being pressed. “On” and “Off” are not controlled by the switch itself, but are controlled by the connected device. Usually, if power is cut to the switch and connected device, the connected device will remain off. One catch is that a connected device could be designed to come on whenever power comes on, or could be designed to “remember” the state it was last in. Another catch is that all push-button switches are not momentary switches. Some push-button switches work like retractable ballpoint pens. Pushing the button once closes the connection and keeps it closed. Pushing it again opens the switch and keeps it open. These usually click when pressed. Then there’s the unlikely possibility that the switch is “smart.” If it has its own logic circuit it could “remember” the state it was in when last pressed, regardless of power interruptions. 204 queries in 0.483 seconds.